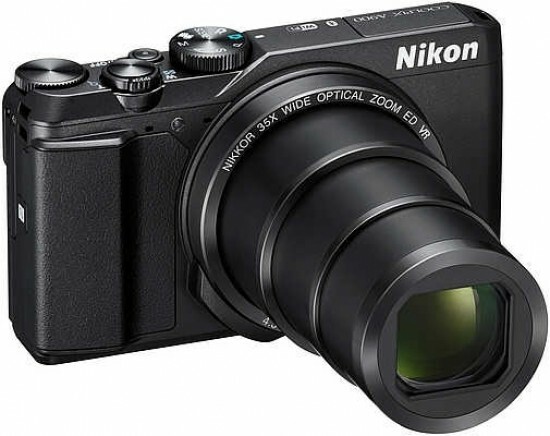 The Nikon Coolpix A900 is a new superzoom compact camera which offers a 35x optical zoom, or an equivalent to 24-480mm in 35mm terms. Inside the camera is a 1/2.3-inch type CMOS sensor with 20.3 million pixels. It is one of the only point-and-shoot style cameras to feature 4K video recording - full HD recording is also available. 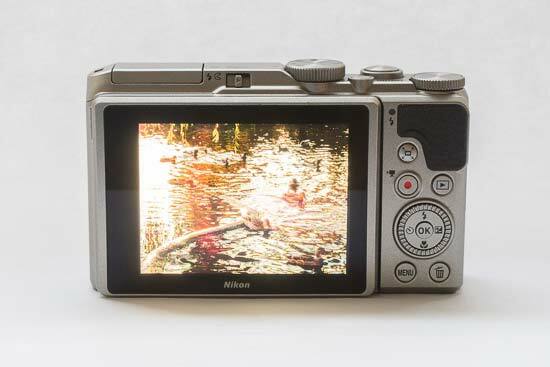 Other interesting features include full manual control, and compatibility with Nikon’s Bluetooth Snapbridge technology. 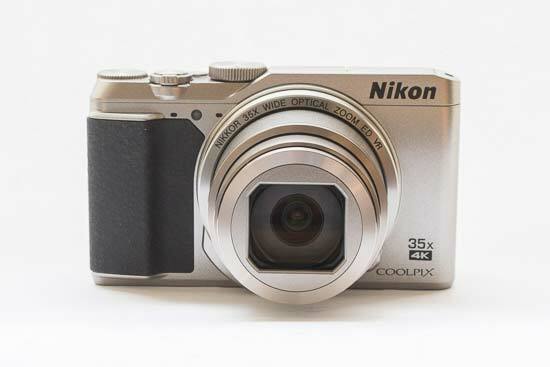 The Nikon Coolpix A900 retails for around $399 / £369. In terms of compact cameras, the Nikon Coolpix A900 is on the larger side - however it should still fit in all but the very tightest of trouser pockets. The larger side helps to accommodate the huge 35x zoom - which considering the focal length is actually quite impressively packed into the lens housing. The camera has a relatively utilitarian look, but it appears quite stylish, with some nice rounded edges and corners to give an overall attractive appearance. There’s a textured grip on the front of the camera that helps your fingers to sit quite nicely and comfortably while you’re holding the camera one handed. On the rear of the camera there’s a small thumb rest area, which is also coated. For a compact camera, there are quite a few dials and buttons on the Nikon Coolpix A900, which reflects the fact that you can take full manual control of this camera. Unfortunately you can’t shoot in raw format, though. On the top of the camera is a mode dial which allows you to quickly switch between the different exposure modes on offer. As well as the usual automatic and scene modes you might expect from a point-and-shoot, here you’ll also find P/A/S/M semi-automatic and manual modes. There’s also a “creative” mode found here, as well as the “Short Movie Show” mode. Also on top of the Nikon Coolpix A900 is the on/off button, which is found just below the shutter release button. Around the shutter release is the zoom rocker switch. It’s a little on the small side, but it feels relatively sturdy. Zooming the lens in and out is quite smooth, and it reaches the telephoto end of the optic pleasingly quickly. You will see a zoom indicator on the display - if you attempt to go into the digital zoom (there are two available), then first it will change to a blue colour, and then afterwards it will change to a yellow colour. You have to hold down the zoom switch for a second before the digital zoom will activate - a noticeable pause to help you avoid using it if you don’t want to. The final dial on top of the Nikon Coolpix A900 is unmarked because it has different functions depending on when you’re using it. It is used to alter certain settings - for example aperture when in aperture priority, or shutter speed when in shutter priority. You can also use the dial to scroll through images in playback. If you’re shooting in manual mode, the dial on the top will be used to alter aperture, while the dial on the back of the camera can be used to alter shutter speed. The camera’s inbuilt flash is found on the top of the camera, there’s a switch just next to it which you need to slide across to make it pop up. When you’re done with it, you just have to push it back into place. Moving to the back of the Nikon Coolpix A900, there’s the usual array of buttons we’ve come to expect from cameras of this type. There’s a four-way navigational pad, with each directional key doubling up to a specific function, for example the left key is for the drive mode or timer, the up key is to alter flash mode, the down key is to switch on macro focusing (and off again), and the right key is to access the exposure compensation setting. Other buttons include a video record button, a playback button, a delete button and the main menu button. There’s also an OK button in the middle of the four way navigational pad, which you can use for a variety of menu adjustments and so on. One particularly useful button can be found just underneath the thumb rest. It’s to be used when using particularly long telephoto lengths - if your subject moves out of the frame, you can hold down the button, and the lens will temporarily zoom out. You can then find the subject, and once that’s done release the button and the lens will resume the same focal length you were previously using - it’s a very quick and effective way to use the zoom and particularly useful if your subject is prone to moving. 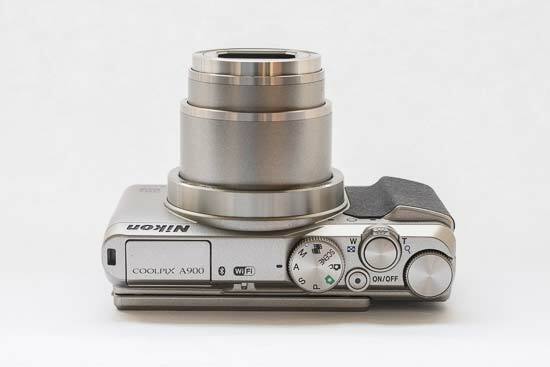 The screen is mounted on a tilting bracket which allows you to pull it away form the main body of the Nikon Coolpix A900. You can face it forwards to help you when taking selfies. If you place it in this position, the display will flip and be centred in the screen so you can see what you’re composing correctly. The screen can also be tilted to face downwards, which is useful if you’re holding the camera over your head to get a high angle shot. Unfortunately, the screen is not touch sensitive, so you can’t use it to make changes settings. If you want to change the AF point, first of all you need to make sure that the AF area mode is set to Manual. Once that’s done, you can press the central OK button, then use the directional keys around the screen. Note that you can only manually set AF point when shooting in semi-automatic or manual modes. The Nikon Coolpix A900 has very quick start-up time, you can go from completely off to ready to shoot in approximately one second. Moving through the menu systems and playback is also very speedy, making it great to use. In good lighting conditions, autofocus is very quick and generally also accurate. However, it can struggle a little in lower light, even though there is a focus assist lamp to help things along. The macro mode allows you to get very close to your subject to fill the frame which is great - there is also almost no instances of a false confirmation of focus, too. 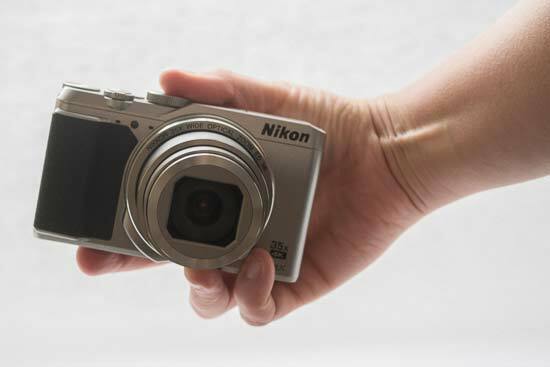 Like many of Nikon’s newest models, the Nikon Coolpix A900 is equipped with Snapbridge. This means that once you’ve set it up, the camera can maintain a low-power bluetooth connection with your smartphone to automatically transfer images and video across to your phone without having any additional input. You can either have images send across at full size or at a reduced size to save time (transferring over bluetooth is slower than over Wi-Fi). It’s a very handy tool that works well to take the hassle out of transferring your images ready for uploading to social networking - this may be particularly appealing to those who want to use the camera while on holiday. The Nikon Coolpix A900 is one of the only compact cameras on the market which can shoot 4K video. To do this, you need to go into the Main Menu and change Movie Options to 2160/30p. By default, the camera will record in 1080/30p.